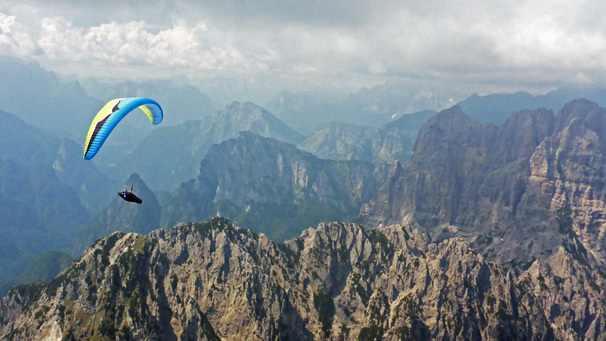 This paragliding trip will take us to one of the finest flying area of the southern Alps - Piave valley of the Southern Dolomites and not that distant Bassano. Some call it the mecca of free flying in the southern Alps, some call it the paragliding Eldorado. You can expect gentle ridges covered with green forests and vineyards in wide valleys and then spectacular rocky walls and towers of Dolomites. Some of the flying sites we will have a chance to fly include: Mt. Dolada, Feltre, Levico Terme, Bassano, Meduno, and others. 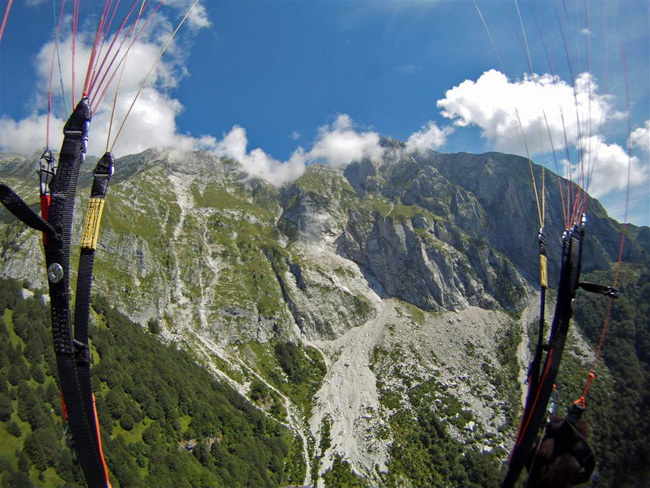 Piave valley has been chosen as a site of Paragliding World Championship in 2017 for a reason. In 2015 we flew there every single day of the tour since morning until the evening. Let's hope for the same excellent flying weather this year. More details coming soon. In the meantime please contact Jarek if you need information about this trip. Note: This trip is back-to-back with our Slovenia trip and then the Tyrol and Switzerland trips. For pilots participating in two or more tours we provide free transportation between Italy, Slovenia, Tyrol, and Switzerland. 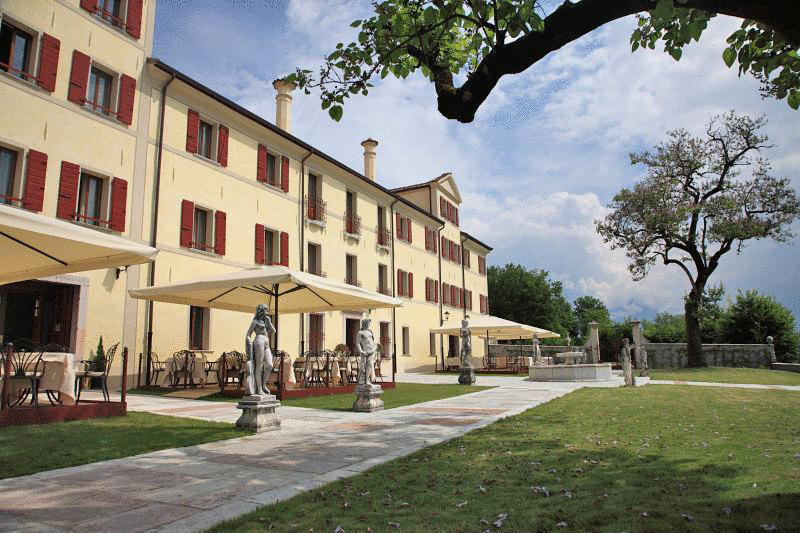 We will stay at elegant and beautifully renovated 17th-century Italian villa with views straight toward Dolomites. 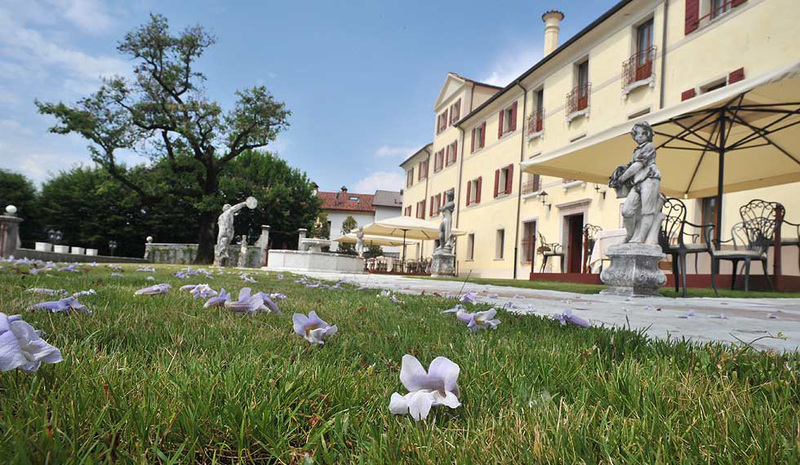 The villa is an upscale four star hotel and is located in countryside just outside of town of Belluno. 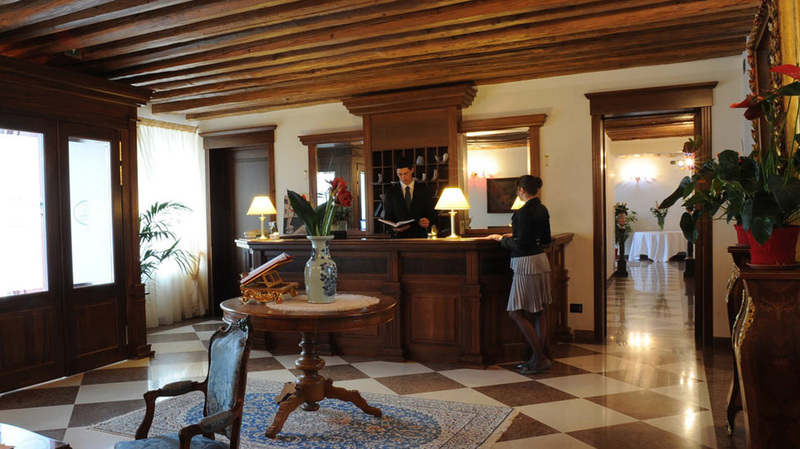 All rooms are furnished with period features, have private bathrooms, air-conditioning, and internet access. Every morning a hearty breakfast is served. The hotel's restaurant serves gourmet specialties. Guest can relax on a terrace and walk trough villa's park. Please see photos of the villa. Flycards (small flying site and landing zone fees) and cable car tickets are not included in the price of the tour. Most of the sites we use have convenient drive-up access. Some have cable-car access. We will choose our flying sites depending on the weather conditions and pilots wishes.